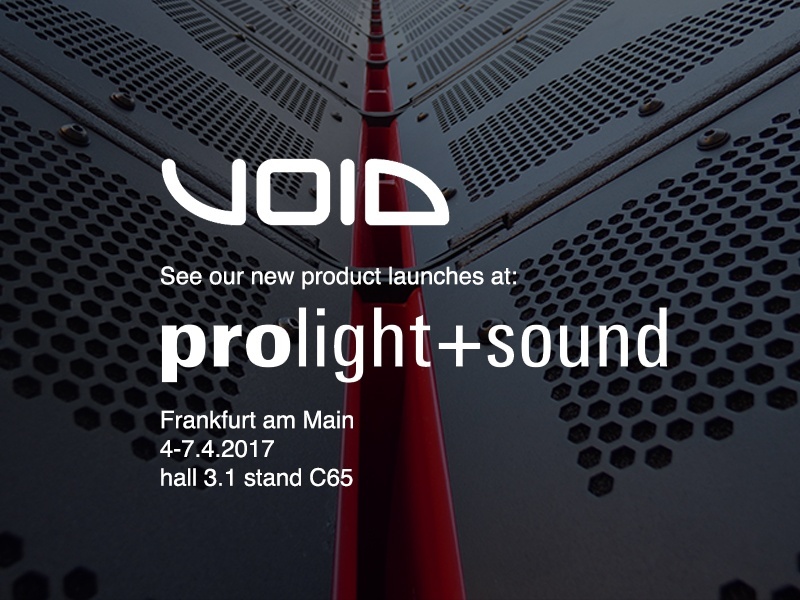 The annual Prolight & Sound tradeshow in Frankfurt, Germany starts tomorrow. Along with Arcline 8 we will officially release Nexus XL, our single 21″ low frequency enclosure, Airten V3 and Venu 210i, a self-powered dual 10″ low frequency enclosure capable of powering external mid hi enclosures. The show starts tomorrow, the fourth of April and runs until the seventh. You can find us in hall 3.1 on stand C65. The Airten V3 features a brand new lineup of components to provide improved audio quality, lower bass extension and increased output SPL. 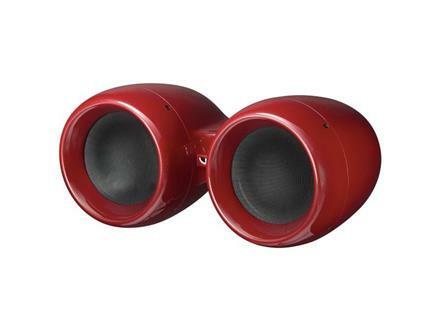 The original dual 10” configuration has been kept, with both transducers providing the low frequencies and a single coaxial transducer used for the mid/highs, but the similarities end there. The advancements implemented in the Airten V3 have made a system capable of truly ground breaking output levels normally associated with enclosures over twice the size of Airten V3, making it an even more attractive proposition. The new single 21″ low frequency enclosure expands upon the 5 resonant chamber theory as used in the ever popular Stasys X; a dual 18” low frequency enclosure which has been the backbone of many Void Acoustics installations around the world. Refining the design principle yet further has led to previously unimagined levels of performance. Transient response and articulation were two of the main design criteria to be addressed first. The use of a large transducer has provided very high levels of efficiency and an extended low frequency response, but a high moving mass can also lead to degradation in speed and articulation. 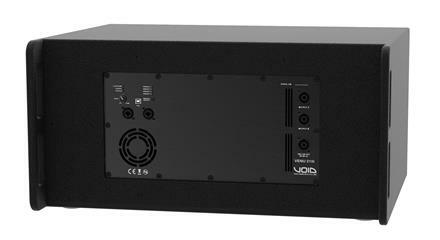 „The Venu 210i is a 600 Watt self-powered double 10” reflex-loaded low frequency enclosure which is capable of powering up to four mid high enclosures from its built-in dual 600 Watt power modules. 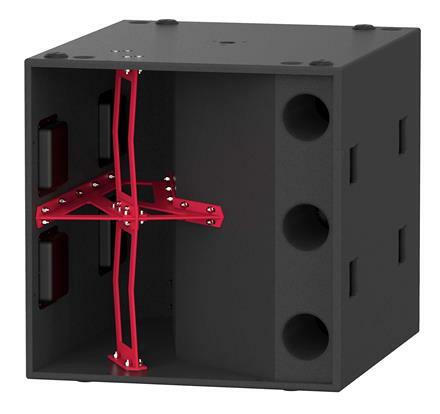 speakON™sockets are provided for ultra quick and reliable connections and a protected rear connector panel allows the enclosure to be placed against a rear wall without damaging the audio or power connections. The 210i also features DSP that provides loudspeaker control and advanced signal processing capabilities all of which can be accessed by the rear USB port. Higher Vision Festival took place on St. Patrick’s Day in Bellurgan Park, Ireland. The festival is the brainchild of Fuinneamh Productions, Strictly Deep, The Building Society and Techno & Cans. Higher Vision presented a wide variety of electronic music. Ejeca, Dimitri From Paris, Dense & Pika, Julio Bashmore and Denis Sulta headlined the festival which also featured Josh Butler, a house music favourite, and I Hate Models, a techno heavy hitter. Void Acoustics sound systems appeared on four of the five stages at the festival. Sounds Good, the Void Acoustics distributor in Ireland, unleashed twenty Arcline 8 and eighteen Stasys X V2 low frequency enclosures for the main stage. Neuron Pro Audio shipped their custom silver Incubus over for its Irish debut on stage two and Audio Jack provided Stasys 3 and Stasys X sound systems for stages three and four. Ed Rice of Sounds Good: “This was the perfect opportunity to introduce Incubus, Void’s flagship system, to Ireland as well as Arcline 8, the brand new line array from Void Acoustics. The Higher Vision Festival has put together a stunning line up and we will be providing the sound systems to match. This was the first time the legendary system was in Ireland. We held a product launch / demonstration day in Bristol for our international distributors and national dealers. This was a unique chance for many of the members of our international family to hear Arcline 8 for the first time. Many thanks to everyone who travelled near and far to join us for the Acline 8 product launch in Bristol. UB Stage Tuning, our distributor in Mongola, has recently completed two installation in the capitol of Mongolia. Mongolian magazine Buro 24/7 set out to explore the highest quality sound systems in Ulaanbaatar. From all the places they’ve visited there were two clubs caught their attention. Zu Club at the Seoul Street and CUE + Minimal Bar near the BogdKhaan Museum. “At these clubs, people do not just listen to the music, they are part of the music. They fuel their body and soul with an energetic music and spread their positive energy all around. With world renowned Void acoustics speakers these clubs were standing out from all other clubs we visited.” – Buro 24/7. Zü club brought a whole new experience to the nightlife of Ulaanbaatar. When guests enter the club they feel like they are actually inside the music. Best DJs in town: Ochiroo, TMK and Henza perform at the Zü club. They play the music that people love. By installing Void’s Trimotion speaker Zü club provides the highest quality sound for their customers. 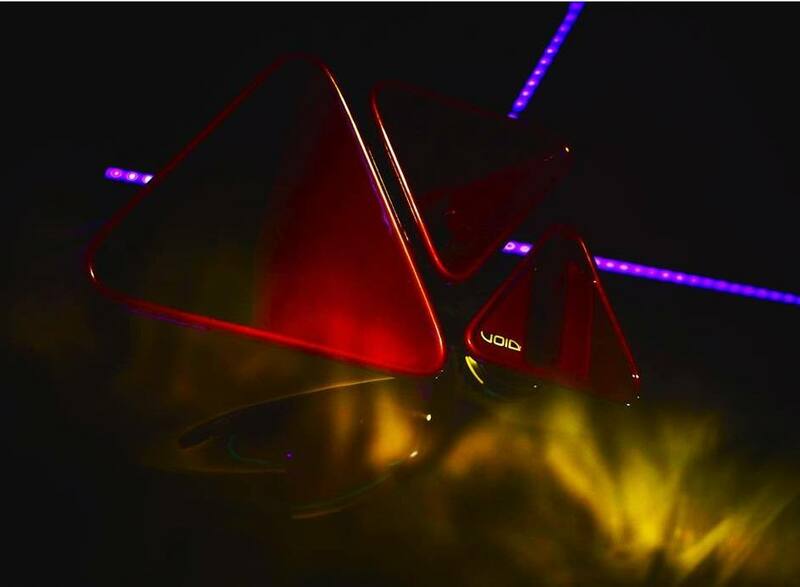 Tokyo, Ibiza and London’s most renowned clubs equipped with Void Acoustics’ Tri Motion speaker. Club manager Bilguun said, “True music lovers come to Zu club, they have become accustomed to our sound system, therefore wherever our customers go, they can’t find another place with that kind of great atmosphere”. 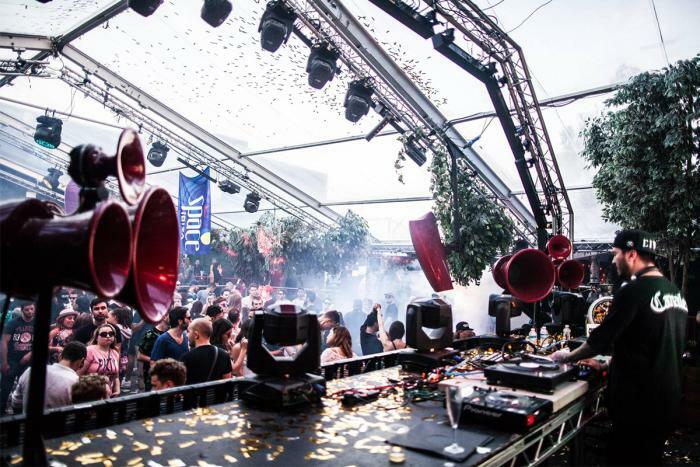 Some excellent news has just surfaced: Studio 338 has announced it will “dance again” this summer after being destroyed by fire last year. There will be a garden opening party on June 3. Before the fire that destroyed this stunning club, it was home to a vast arsenal of Void Acoustics loud speakers and low frequency enclosures. We look forward to the return of one of the most notable clubs London had to offer. More news to follow soon.